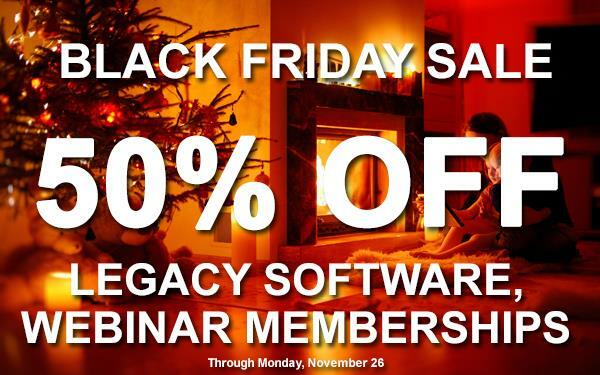 50% Off Legacy Family Tree Webinars During BLACK FRIDAY SALE! 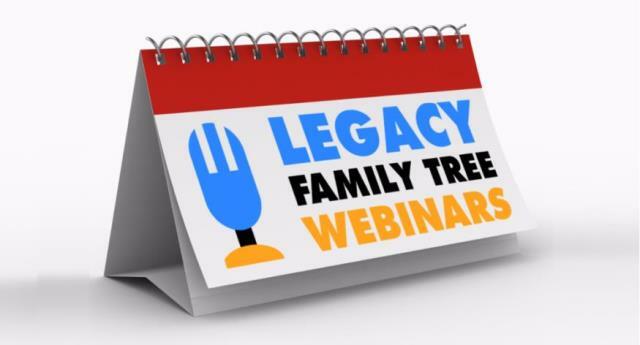 Right now through Cyber Monday on November 26th, you can save on a variety of products at Legacy Family Tree Webinars – including subscriptions to Legacy Family Tree Webinars . . . and this means RENEWALS which are almost NEVER on sale! Regularly $49.95 USD, now just $24.98 USD! Click HERE to save! 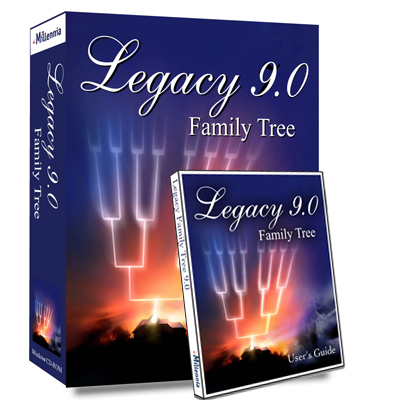 Get 50% off Legacy Family Tree 9.0 deluxe software! Upgrade to Legacy 9.0 Deluxe and get hinting, stories, hashtags, FindAGrave.com searching, Research Guidance, charts, books and much, much more! Regularly $34.95 USD, now just $17.48 USD! Click HERE to shop! This sale is valid through Monday, November 26th at 11:59 PM Mountain Standard Time. Don’t delay – catch these savings TODAY!